Full support and updates for Windows 7 have been halted since 2015, but January 14, 2020, will mark the day when even critical security updates stop for the operating system that made its big debut in 2009. That year was the heyday of the tiny and eccentric netbook craze, FarmVille was big on a burgeoning Facebook, and some tech news outlets were claiming that Apple’s rumored tablet computer would never happen. 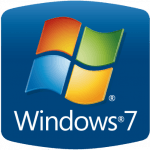 A lot has changed in the tech world since 2009, but Windows 7 has been one of the most long-lasting and popular versions of Windows. But nothing lasts forever in the IT realm. So, what does the end of Windows 7 support mean for us at SMU? Not much, for now. Of course, all new PCs deployed on campus include Windows 10, and we always recommend that you upgrade as long as you do not have software that must specifically run on older versions. While you are free to still use Windows 7 now if you still have it, an upgrade will eventually be required. More information on upgrade plans for computers across campus will be forthcoming. You may always contact the IT Help Desk if you have any questions.